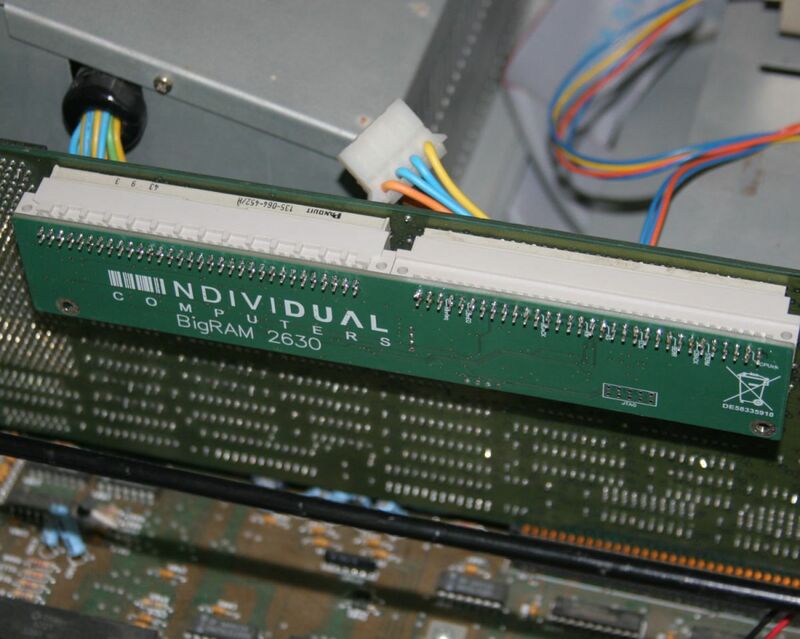 The BigRAM 2630 card adds 112 MB to the memory pool of your Amiga A2000 with A2630 accelerator card. Compared to the on-board memory of the accelerator this memory expansion is much faster boosting the overall performance of your system. This version works with the most common version of the A2630 card. The expansion connector is pointing away from the A2000 PSU.